No matter what time of the year you head to New York City, you are sure to find an event that sparks your interest. We’ve rounded up a few not-to-be-missed favorites that should be on every visitor's itinerary. From mid-January through early February, top NYC restaurants come together for NYC Restaurant Week, a celebration of fine dining at affordable prices. 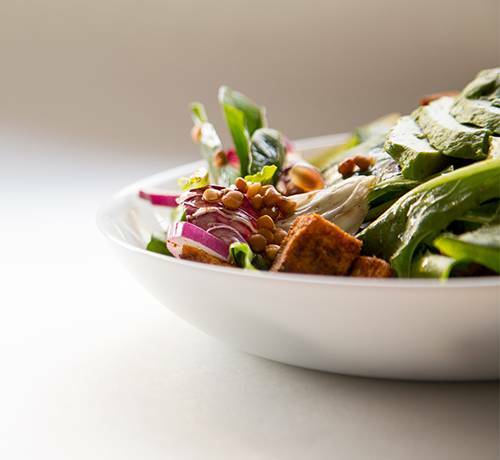 Participating restaurants offer three-course prix-fixe menus for lunch and/or dinner. If you miss it, you'll have another shot come summertime. 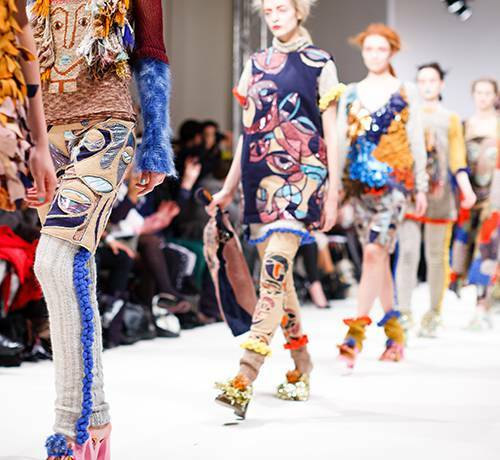 This semi-annual showcase of international high fashion spans nine days in February and brings together buyers, press, and fashionistas for shows, parties and other A-list events. 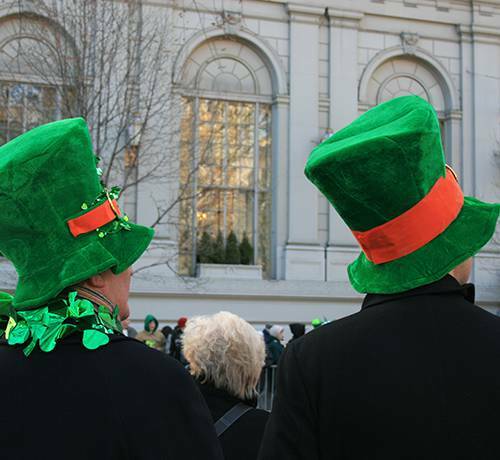 The oldest and largest St. Patrick’s Day parade in the world, the New York City St. Patrick’s Day Parade predates the Declaration of Independence by 14 years. 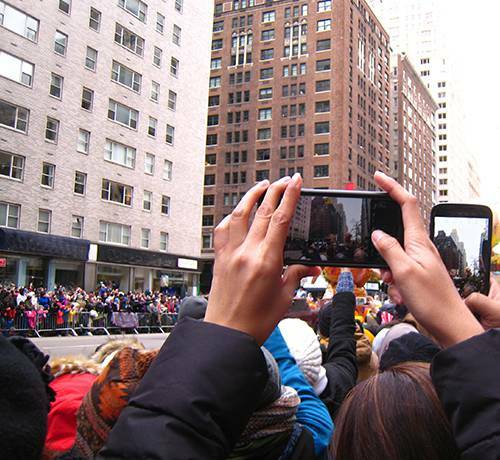 Approximately two million spectators line the Fifth Avenue parade route, cheering on 150,000 marching Irishmen, high school bands, and local politicos. 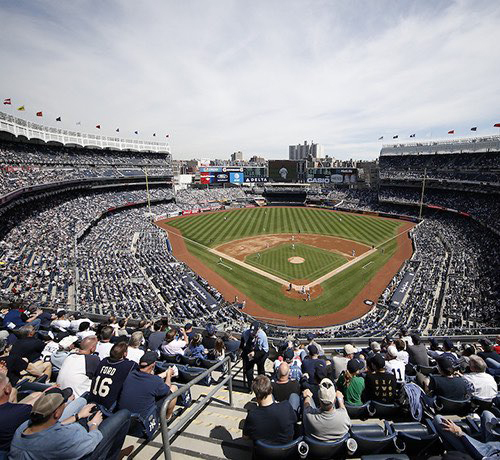 True-blue New York Yankee fans head to the Bronx to catch their 27-time World Series champs on Opening Day. Bringing together creators, industry execs, and audiences for 10 days of full-length features, short films, and documentaries, the Tribeca Film Festival is considered one of the world's premier film festivals. 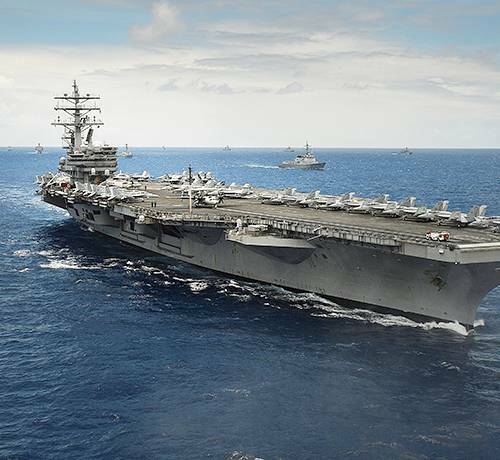 Coinciding with Memorial Day weekend, Fleet Week brings more than a dozen U.S. Navy vessels and their well-dressed crews to New York City for a week highlighted by ship tours, air shows, and celebrations. 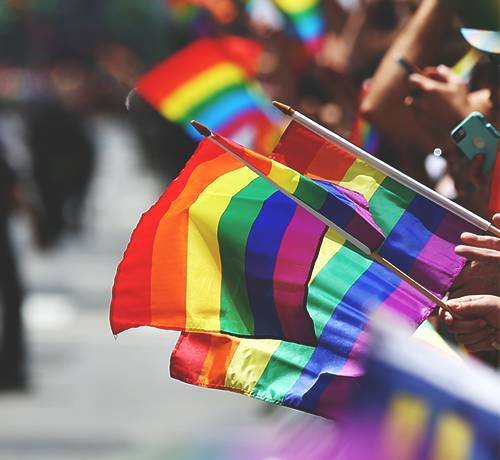 Commemorating the Stonewall Riots of 1969, NYC Pride sponsors a week-long series of LGBT Pride events, including parties, parades, and partner events. 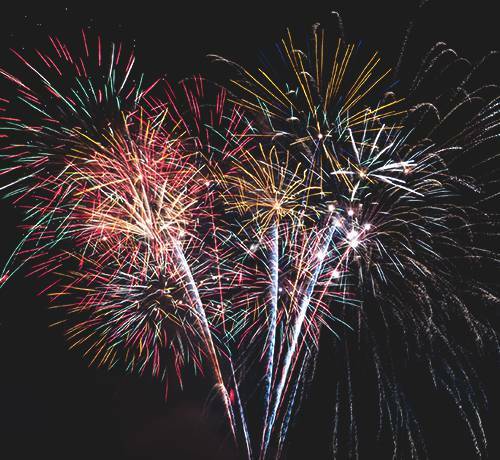 A cherished tradition for more than four decades, Macy’s 4th of July Fireworks Spectacular lights up the night sky in a synchronized display soaring three times higher than the Statue of Liberty. 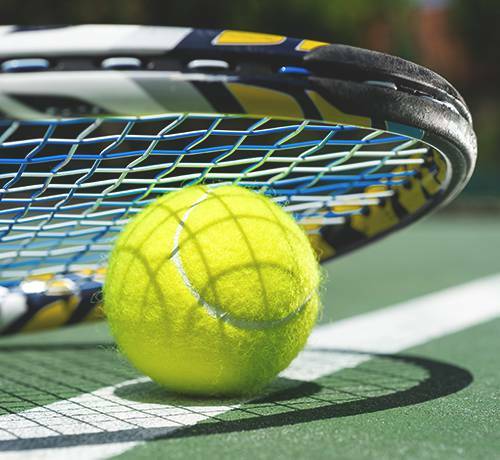 The US Open brings the biggest names in tennis to Flushing Meadows for two weeks of Grand Slam action, served up alongside great dining, activities for kids, and "Fan Week" events. New York Fashion Week returns in September to showcase the latest fashion trends for retailers, industry press, celebrities, and those who follow fashion. 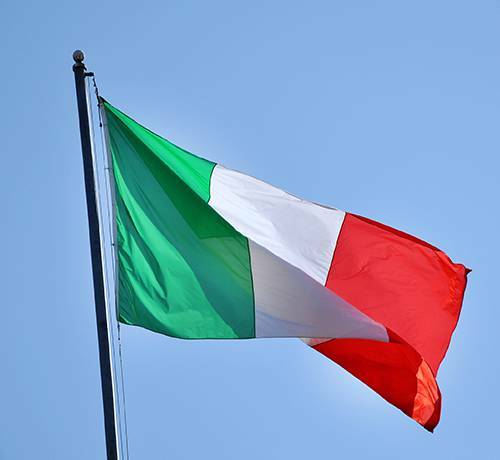 The world's largest celebration of Italian-American culture, the annual Columbus Day Parade draws more than a million spectators to Fifth Avenue to watch 130+ marching bands, cultural groups, and colorful floats. Known for its soaring balloons of beloved characters like Charlie Brown, Paddington Bear, and Sponge Bob, the Macy’s Thanksgiving Day Parade kicks off the city's holiday season before a crowd of 3.5 million spectators (and another 22+ million viewers watching at home). 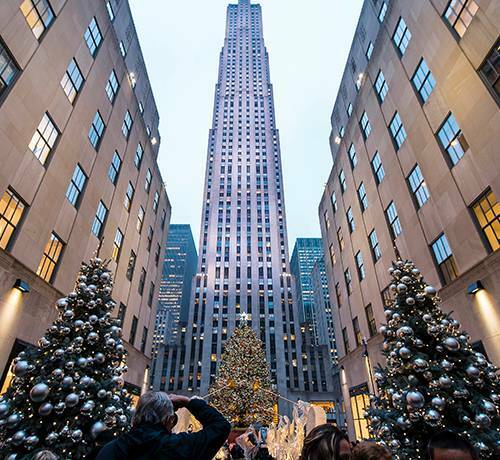 Thousands of holiday revelers gather at 30 Rockefeller Plaza for the annual Rockefeller Center Christmas Tree Lighting. A tradition since 1933, the LED-lit Norway spruce draws more than 125 million visitors between late November and early January. 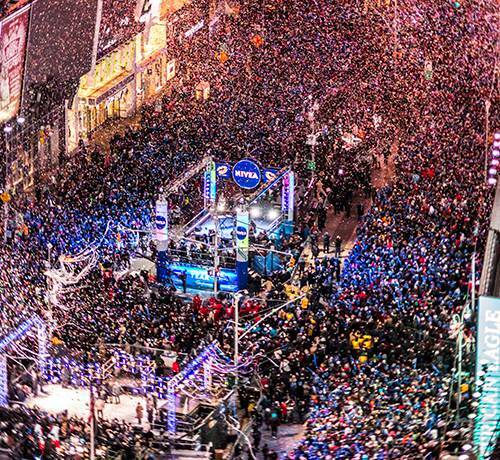 Every New Year’s Eve, more than a million revelers gather in Times Square for concert performances awash in confetti, culminating with the world-famous countdown as the iconic Waterford crystal ball drops atop One Times Square.